A couple of months ago I dragged Jarman to a lecture about an artist named Charles Marville, and later I dragged him to see the actual exhibit on Marville. While he was not impressed with Marville’s photographs, I was completely enamoured by them. Marville is known as the ‘photographer of Paris,’ and captured the major changes that Paris underwent in the late 19th century. At this time, Napoleon III was the emperor, and had been inspired by the urbanization that he saw at the World’s Fair in London in 1851. The emperor employed Baron Haussman to make the plans for the update of Paris. 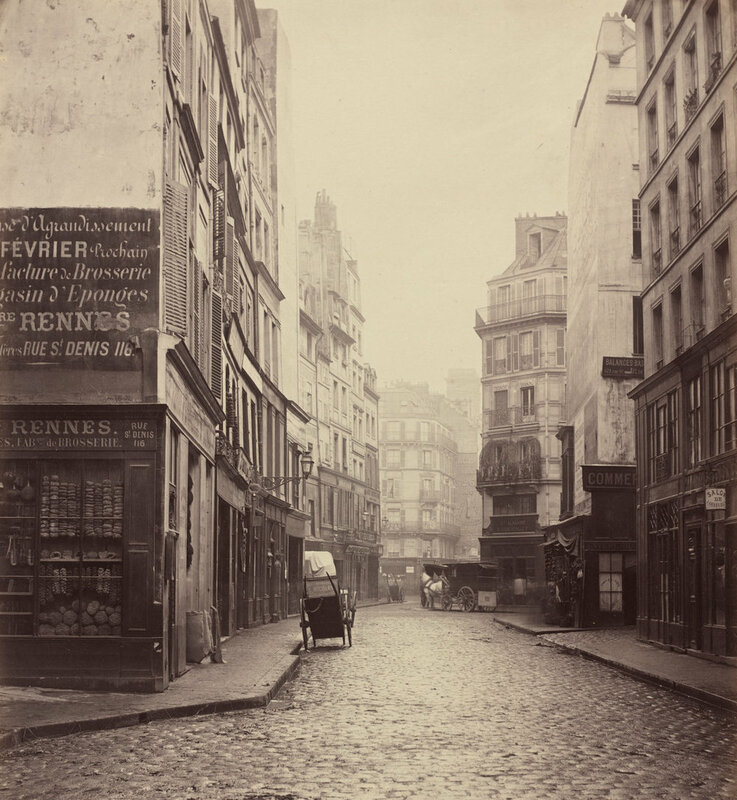 The city completely changed during what has come to be known as ‘Haussmanization,’ which included widening the streets (and subsequently tearing down much of the older housing), adding in streetlights to make Paris safer at nights, and adding plumbing throughout the city to make it more hygienic. While the changes had an overall positive effect, it caused lots of the poorer citizens to be pushed to the outskirts of the city and created a negative backlash from those inhabitants. 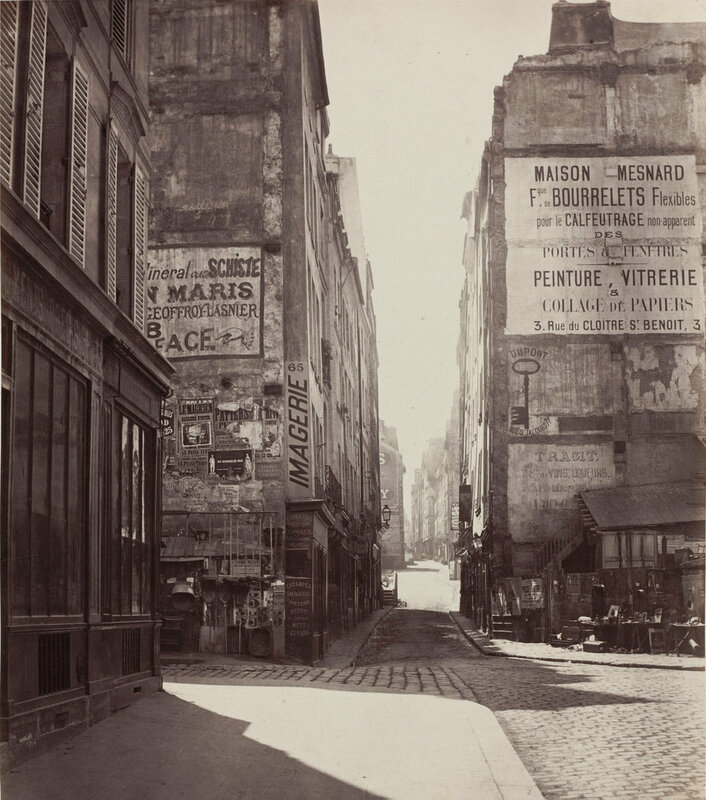 Marville’s photographs capture the waning and waxing of the city. 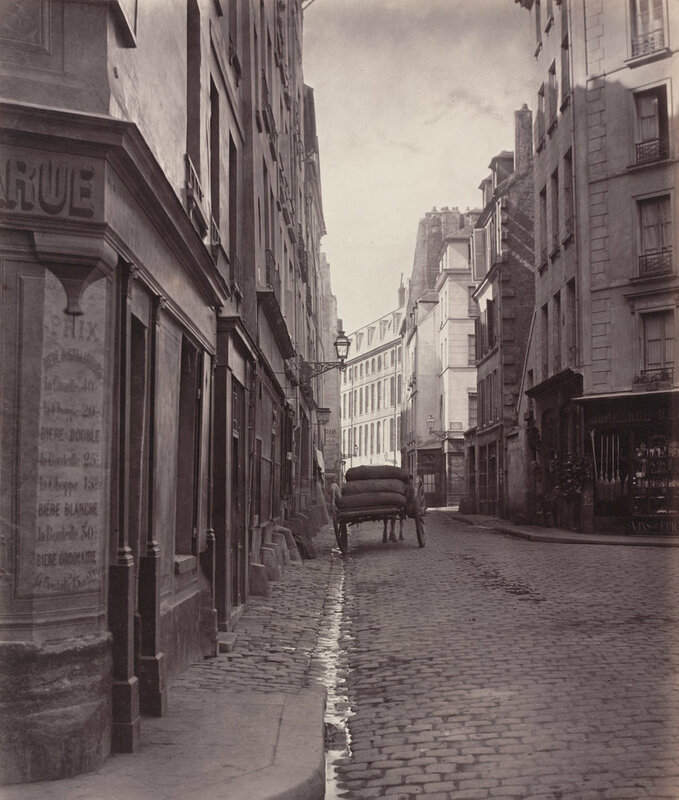 He took extra time and care to get shots of the old Paris before it was torn down, showing the narrow streets that would eventually be widened. In many of his photos you can see pieces of the city that were being broken down, and other that were being rebuilt. He also photographed the additions to the city, including the public restrooms (which were basically outdoor stalls), places for advertisements (which had been unorganized and obnoxious before), and the new gas lamps (which would be replaced with electricity). 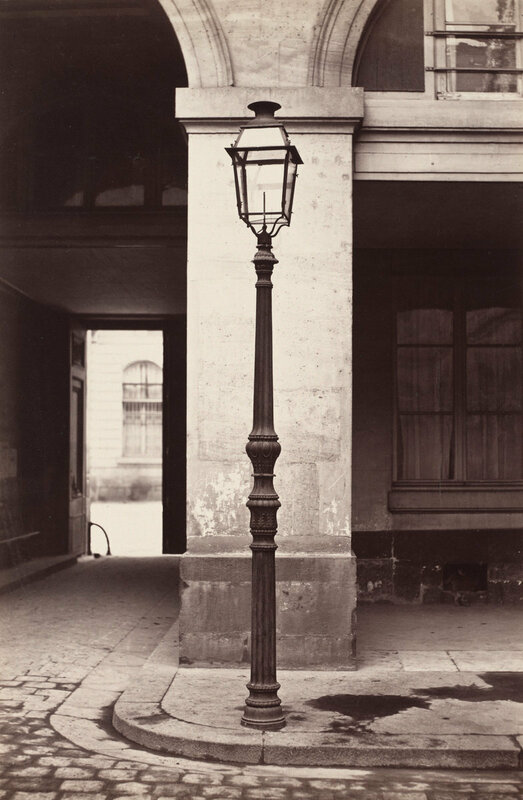 My favorite photographs are the one’s that Marville took of the street lamps, he imbued so much personality in such inanimate objects. They seem to just be hanging out on the street corner, looking for ladies and waiting for their buddies. I would absolutely hang one of them in my house. I love Marville because he photographed Paris during my favorite era, and during a time where the literature and art world was rich with new ideas. He documented an age that should be studied by everyone. 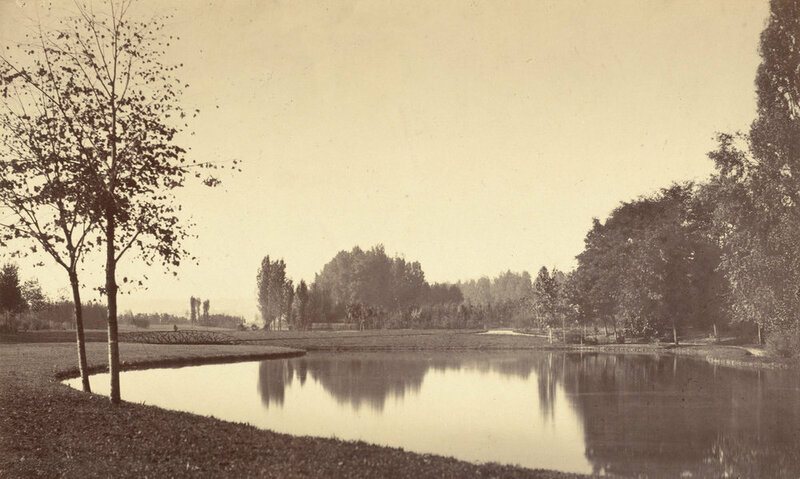 Though he was an early photographer, he seemed to have a major grasp on style and composition, and knew how to capture things just as they were.